Port Authority awaited me in its mix of brick conformity and multilayered human morass. I found the Greyhound ticket booth and purchased a one way ticket. Travel I would and to an origin I thought my beginning. The next bus left a 9 am and I just made it. Walking down the aisle of the blue womb brought comfort. I would travel but as so many of the stories in the book I was to read, the country would pass by just outside the window. I would have time to think, meditate and possibly dream for dreaming was the only reality in all this. My dreams speak and I listen. Now, maybe this traveling vigil will clarify the message and I can find solace in answers. Pulled from my inner thoughts, I turned to see an older gentleman sitting next to me. “Lot of people, don’t ya’ think? He was talking about all the people on the streets as we pulled away from the bus station. And yes, there were a lot of people. I had hoped for a solitary journey. He extended his cordy, black hand for me to shake. I accepted it and was crushed by an amazingly strong grip. So we travelled from New York to St. Louis where Will was to visit his daughter. At first, I was annoyed, having to talk with this stranger. This was to be my time. But then I realized how long I had been shut up in my house alone except for Melanie. Maybe the journey was more than self-awareness but humanity on an experiential level. I was not only to be among people but with them. It didn’t take much. Just a word here or there and Will regaled me with his life’s story. His father had been one of the foremost garden and landscape men in South Carolina. So Will was a veritable treasure trove of knowledge on all things green and growing. We traveled like that the whole day, Will talking, me listening, both of us just watching the scenery outside the window. 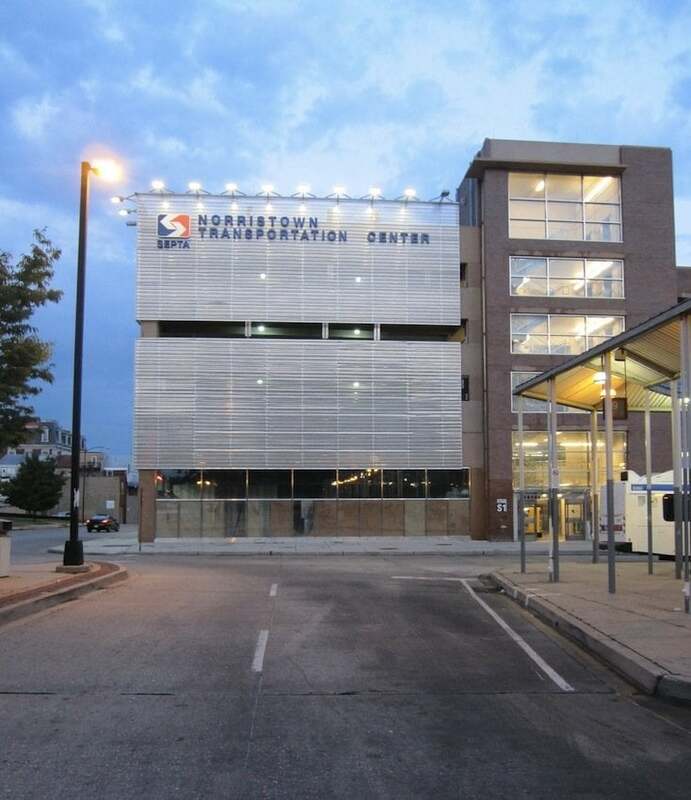 The first stop outside of New York was Norristown, PA.
“That’s a big chunk of glass building,” Will commented on the bus terminal. It was a newer building. Better than most I would see along the road. We didn’t get out, just took on passengers. In Harrisburg, we transferred. I offered to help Will with his bag. He refused. He put on the air of simple but was anything but. I soon learned this as more of his life story came out. Army stories! Not tales of blood, guts and glory, though I am sure he had his share of those. The man served in Korea and Vietnam as a Ranger. They were not desk jockeys. No, his stories were of overcoming adversity, solving problems with his mind. Almost a Dr. Who resolving conflict by peaceful means if possible. One of the last stories he told as we cruised through Illinois was from his youth in Korea. Hit platoon had pinned a bunch of North Korean soldiers up in these mountain caves. They were supposed to secure the area but the enemy had the high ground and wasn’t coming down. Will got this idea. He goes to the Colonel or Captain in charge and asks for two of the best riflemen in the unit. He also asks that they take a couple of big barrels and fill them with water to boil over a fire. When asked why? The commanding officer thought the idea worth a try. Sure enough, the butchered meat of two deer in the boiling water wafted up to the caves. According to Will, it took about two hours before every hidden enemy soldier down and surrendered. We both chuckled about the simplicity of the scheme. It was dark by then and the next stop wasn’t until morning. We both dozed, the rumble of the road rocking us to sleep. Stopped, seven am and hungry. The bus snacks helped but were not enough. I stretched and looked around. Everyone else had left the bus. The driver was shaking me. I turned and looked at Will. He lay in his seat, a peaceful expression on his face. But his chest was still. I felt for a pulse that was not there. “Okay,” I replied not moving. What was I supposed to do? Just get up and leave him? I waited as the bus driver left to get “help” or supervision or both. I looked out the window and saw a nicely dressed African American woman waiting outside the bus. When the driver left she started to enter. I instinctively got out of my seat, careful not to disturb Will. She entered just as I was heading down the aisle. “Hi, I’m Moses. I met your father on the bus ride down.” I tried to block her way before she got to close. “Yes. But…,” and I think I paused there. Words escaped me. This was a stranger whom I needed to inform her father had died. How does one do that? Probably not the way I did. “Yes,” I said all sheepish. She pushed passed me and went to her father. I was taken aback. I didn’t know how one processed death but this wasn’t my expectation. I left her alone with Will. I didn’t want to intrude on her final moments with him. The police were coming up to the bus as I left. They told me not to leave the area. They had questions. I hung out with the Bus Driver standing near the Terminal’s entrance. EMS came shortly after that. I watched the comings and goings of all the service people, the police, EMS, coroner’s office; it was like a practiced ballet. Everyone knew their business. I ask the driver, Bobby, if he’d ever had this happen before. I said something I can’t remember now and we both continued watching. The daughter came out of the bus with a police officer. They walked over to his car where he let her sit down in the front seat. An EMS brought her some water. The officer then walked over to Bobby and me. “What did you see?” the officer asked me. Sure enough, a big Greyhound bus was pulling away. “I guess I’m here until the next bus south,” I said. I looked around. The parking lot was dusty white surrounded by low empty warehouses and fenced off fields. Not much in terms of scenery. But I guess who puts a bus station in the pristine part of town. “Next bus?” I asked Bobby. We waited until the officer came back. His questions were basic. Did Will seem to be in any distress? Was he taking medication? Seem upset? I answered no. Will and I had enjoyed ourselves talking and watching the world pass by outside the window. Told the officer that Will wouldn’t let me carry his suitcase when we transferred in Harrisburg. He thanked me for my time and apologized again for missing my connection. Bobby took me to the ticket booth and explained what had happened. My ticket was valid but they gave me a 50% refund for the inconvenience. I thanked them and walked out. Using Bobby’s directions I found Market Street. Took a left and found a Starbucks. Not more than a mile away if that. That’s where I spent the day. Thinking over what had happened and writing. I headed back in time to catch the 6:35 PM south. I sat alone at the back of the bus. Sleep wasn’t easy. The rocking of the bus no longer a lullaby but a reminder of Will who was now gone. I didn’t grieve. I felt guilt for how unaffected I was. I was sorry about Will, but that was it. He had touched my life and I hoped I his but we had been moths in the night. I escaped the hot bulb once more. He, who had flown longer and truer, had not. In memory of the real Will, a man of casual acquaintance yet one I trusted my life to daily.